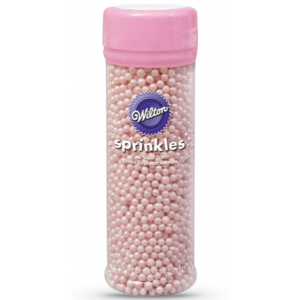 Wilton Sugar Pearl Sprinkles are an effortless way to add a shimmering detail to your baked treats. These edible iridescent sprinkles add stunning accents to your cake decorating designs and are easy to apply. Simply sprinkle however many you like over your delicious treat. You can add them to cookies, cakes, cupcakes, ice cream and more. 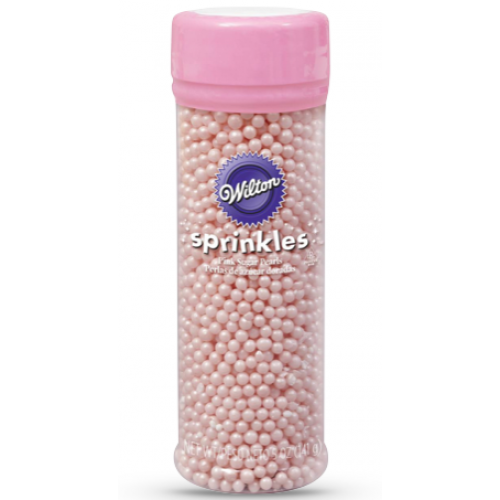 There are a range of colours available so you can choose the perfect shade of sprinkles to match with your icing.